Desiccant-based dehumidification systems are used extensively for removing moisture from moist air or gases in many industrial applications. Some typical industries where such systems are used include chemical, pharmaceutical, food, semi-conductor manufacturing, and vacuum processing. These systems are also used for climate control applications in commercial buildings. 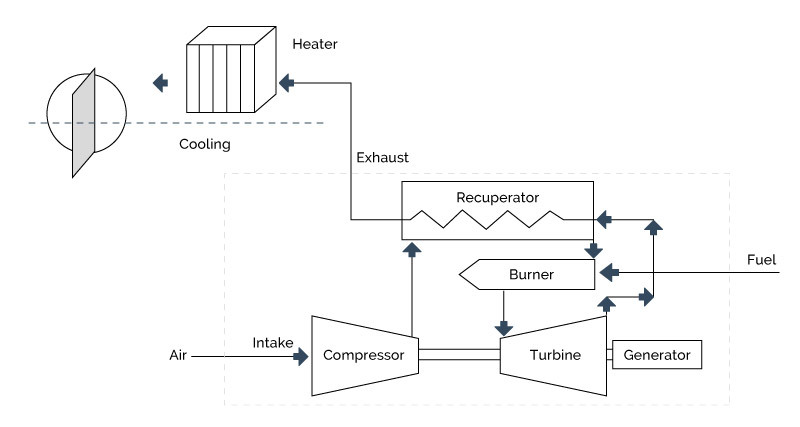 Operation of these systems includes a regeneration step where hot air (or other gases) are used to remove moisture from saturated desiccant media. This is shown in a schematic in Figure 5-8.